Tomorrow is World Toilet Day. 2.4 billion people worldwide lack access to improved sanitation, putting their health at risk. We’d love to share with you Yina’s story. 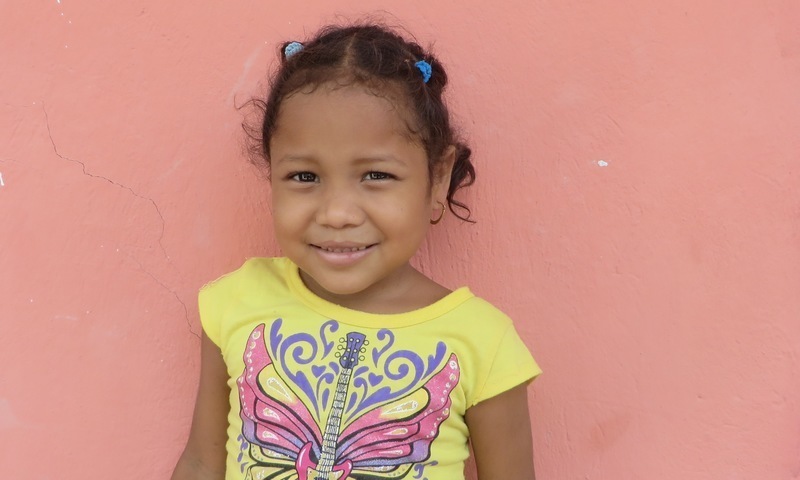 Yina is one of our kids in Colombia. She is the youngest of four siblings and lives with her mum in a house with just one bedroom and no toilet. She loved learning at school but was always ill with diarrhoea and intestinal parasites. Yina would receive treatment for the parasite infection and food supplements to address her malnutrition. However, the medication didn’t seem to be effective and she was continually ill. Through further investigation, it was found that Yina’s constant illness was all down to her appalling living conditions. Without a toilet at home, Yina and her family had to use their yard to cater for their physical needs. It was the same yard that Yina would play in, often putting her dirty hands in her mouth. When Yina joined our programme we knew that we needed to protect her from continually being ill so that she could be well enough to go to school and play with her friends. We decided to build her family a toilet. Today the toilet is being built. When it is completed this single toilet will change everything for Yina. It will bring better hygiene, much better health for Yina and dignity for whole her family. Here in the UK, we don’t often think about the benefits of a toilet in our homes. But for many children in our care around the world, just like Yina, a toilet is considered a luxury. Yina loves learning and enjoys playing after school, pretending to cook like her mum – we’re thankful that we can help Yina play, free from illness by giving her access to improved sanitation. Sponsor a child like Yina.